The Islamic Republic of Iran and the Kingdom of Saudi Arabia are key regional rivals in the Middle Eastern political sphere. Currently, they are embroiled in a proxy war that is tearing apart Yemen in what the UN has called the worst human rights crisis of our time. Despite the 2015 Iran Nuclear Deal, meant to hinder Iran’s nuclear program, Tehran has been widely accused of violating the terms of the agreement. Both the Iranian regime and the Trump administration have threatened to walk away from the deal. The crown prince’s comments highlight the historic tensions between Tehran and Riyadh, that only seem to become more intense, and more dangerous, each passing day. In 2016, diplomatic relations between the two states were terminated in the aftermath of an attack on the Saudi embassy in Tehran. Since 2016, a relationship long fraught with difficulty has only become more tense. Saudi Arabia and Iran hold deep seated resentments towards each other. In part, their issues stem from the fact that Iran is one of a few Shiite majority countries, but Saudi Arabia is staunchly Sunni. These two factions of Islam violently split shortly after the death of the Prophet Mohammed. Religious difference are not the only issues driving the resentment between Saudi Arabia and Iran. They also face robust economic competition. As exporters of oil, these two countries have clashed on the market and disputed energy policy. Saudi Arabia has larger oil reserves and a smaller population, while Iran has been crippled by international sanctions. Saudi Arabia and Iran also stand on opposite sides of the civil war in Syria. Iran is an ally of the Assad regime, which has been accused by locals and international human rights organizations of using chemical weapons on their own people while violating a UN mandated temporary truce by dropping barrel bombs in Eastern Ghouta, resulting in the death of hundreds, including children. While Iran has poured billions of dollars into the Assad regime, Saudi Arabia has supported the rebels. The situation is reverse in the Yemeni Civil War. Since MBS took on a greater leadership role, the Kingdom of Saudi Arabia has only strengthened its ties to the US. The Iranian regime has long stewed in anti-American sentiment, maintaining close ties with Russia, especially in light of the war in Syria and US-led sanctions. Staunchly religious Iran also claims Saudi Arabia prioritizes US interests over Islam. Comparing enemies to Hitler is a common tactic in political rhetoric. In the US, President Trump has been compared to Hitler time and time again. The Iranian regime, led by Ayatollah Ali Khamenei for decades, has been accused of arresting, torturing, and killing thousands of political dissidents. These accusations again surfaced following the suppression of the recent protests across Iran. The Islamic Republic has all but exterminated the local Baha’i populations through arrests, torture, executions, and displacement. Likewise for the Zoroastrians, despite the fact that both of these faiths are indigenous to Iran. In the aftermath of the Revolution in 1979, Ayatollah Khamenei replaced images of the Prophet Zoroaster with his own picture. On the other hand, MbS has been blamed for the human rights crisis in Yemen. As Saudi Defense Minister, MbS has led a naval blockade believed to be exacerbating the degrading situation in Yemen. In November, the Saudi crown prince initiated a round of anti-corruption purges which saw the arrest of hundreds of members of the Saudi royal family, as well as prominent government officials. Although he claims to have been eradicating corruption from the ruling class, some believe the purge was more or less a means to consolidate his power. The prince has positioned himself as a modernizer and reformer. In 2017, he lifted the ban on women driving. Careem, the Middle East’s answer to Uber, announced last month they have already registered 1,000 female drivers in Saudi Arabia, and hope to increase that number to 100,000. The crown prince also ended the edict against commercial movie theatres last December. When it comes to MbS, the jury is out, but it’s no wonder he is already beloved by Saudi Arabia’s youth. 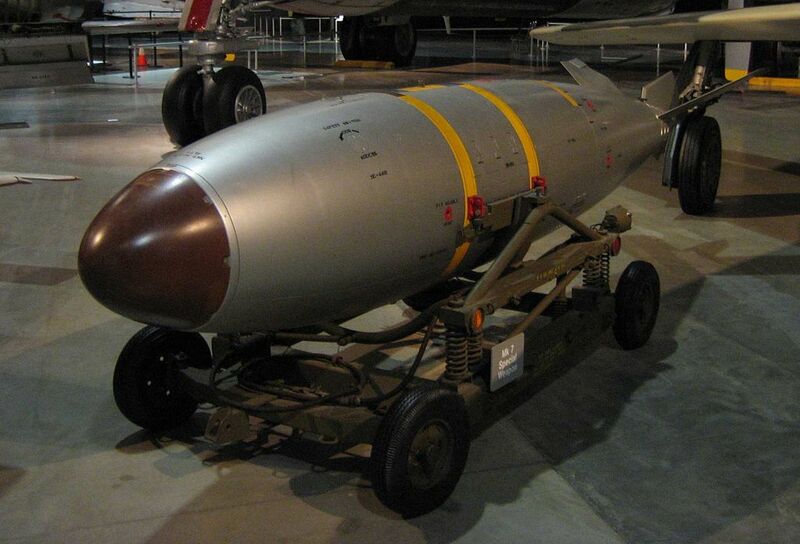 Can KSA Develop a Nuclear Weapon? Following a drop in oil prices in 2015, Mohammad bin Salman has led the charge to shift the Kingdom of Saudi Arabia’s energy policy. Last October, MbS announced a plan to build a coastal city run entirely on alternative energy, again signalling his commitment to modernization. Earlier this week, Riyadh announced their intention to develop a nuclear energy program as part of their Vision 2030 plan for modernization and economic development. Saudi Arabia claims the nuclear energy program will be developed in line with international law and only utilized for peaceful purposes. Nevertheless, the announcement raised speculation, especially in light of MbS’ statements on Iran. To many, the idea of a nuclear armed Saudi Arabia and Iran sounds like the beginning of a World War III scenario.